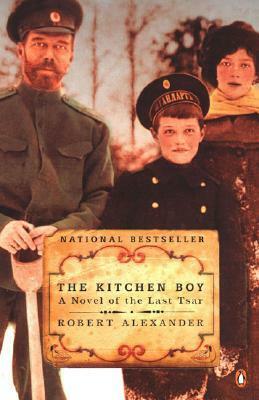 The Kitchen Boy by Robert Alexander focuses on the last, secluded, and trapped days of the Romanov family before they are ultimately assassinated in 1918 as told by the kitchen boy, Leonka. Their lives were routine as royals with set times for dinners, etc., but in captivity, there days are even more regimented as they are expected to present themselves for inspection at certain hours, attend church services, and eat meals at certain times. In fact, their lives are so routine, including that of the kitchen boy, the only highlights are wheeling the youngest, male heir about the home and imagining games until the Bolsheviks deign to open a window. Shifting from the 1990s to the early 1900s, the narrator takes readers through the final days of the Tsar and his family and often interrupts his own story — being told on audio tape to his granddaughter, Katya — to interject the outcome of certain events or to provide other tangential historical information. This disjointed narration often pulls readers out of the story, but once the narrator gets into the final three days of their captivity, the story moves rather quickly. Moreover, the kitchen boy’s story is so complex that it takes a long time to unfold and by the end, readers will either have guessed the truth of the Romanov’s last days or they will feel betrayed by the narrator’s unreliability. However, the half-truths and subterfuge executed by the narrator do have a purpose and are understandable once the novel has completely unfolded, particularly given the tumultuous time period in Russian history. Leonka is a young boy working in the kitchen of the Tsar’s prison, from which they are only allowed at most 1 hour outside in the courtyard’s fresh air as all the windows are permanently closed. His duties are relegated to menial tasks of fetching water and preparing the day’s meals, but he’s also very observant. Through carefully crafted context clues, readers will learn about the inner workings of the prison and the careful planning of not only the Romanovs but also the guards watching over them. The Kitchen Boy by Robert Alexander is an intricate story of those last days of a family held by their enemies in which the more human side of the royals surfaces through the eyes of a young kitchen boy. However, the greater mystery is by turns too well hidden, it is almost a trick of the author when it is revealed. Alexander’s narration could have staved off disappointment with more from Katya’s portion of the story as she seeks to execute her grandfather’s will and wishes. As an epilogue, it is too neatly wrapped up with very little build up. Robert Alexander is the author of the bestselling novels Rasputin’s Daughter, The Kitchen Boy, and the forthcoming The Romanov Bride. 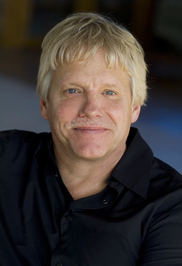 He has spent over thirty years traveling to Russia, where he has studied and also worked for the U.S. government. He speaks frequently to book clubs, and the schedule for his live video webcasts can be found at his Website. This is my 8th book for the 2013 New Authors Challenge.